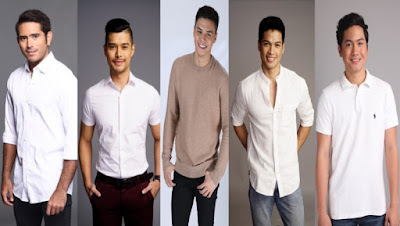 The celebrities who are flying in to Taiwan to accept the challenge of a basketball match are Gerald Anderson, JC De Vera, Ronnie Alonte, Vin Abrenica, Axel Torres, Zeus Collins, Jimboy Martin,JV Kapunan, Jose Sarasola and Gerard Acao. 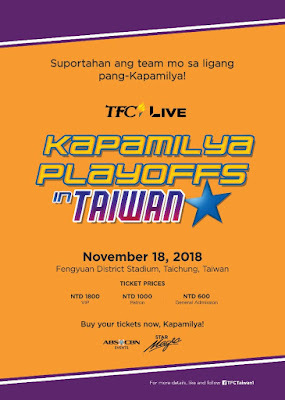 Do not miss this exciting basketball game between the overseas Filipinos team and ABS-CBN stars team--buy your tickets now and watch the game live! Ticket prices are at NTD 600 for General Admission, NTD 1000 for Patron, and NTD 1,800 for VIP. 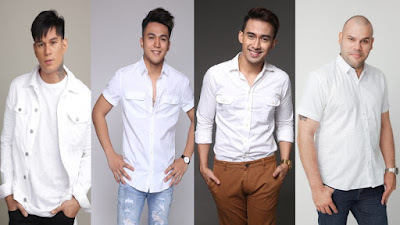 For details on how to purchase tickets, visit facebook.com/TFCTaiwan1. 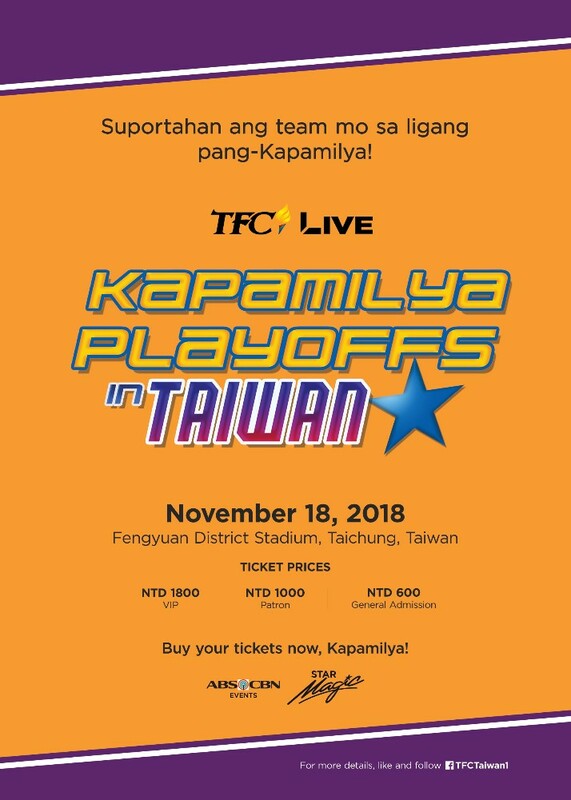 Gather your friends, get that pompom ready and cheer for your favorite team at the “Kapamilya Playoffs in Taiwan” on November 18 at the Fengyuan District Stadium, Taichung, Taiwan.